Reader feedback is something I take to heart. For example, many years ago when my first short story was published, one of the fan letters I received was from a reader who suggested the story would have stronger if I'd done some research, and he pointed out the steps I could have taken. He presented a good argument, and I was sold. From that moment on, I was committed to doing as much research as I can for everything I write. 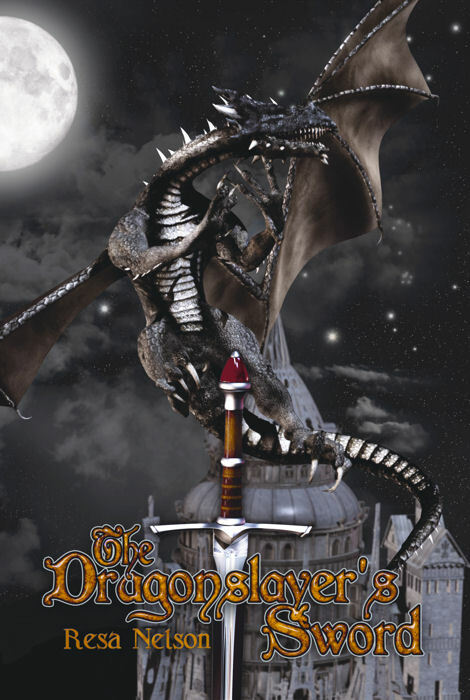 My 4-book Dragonslayer series is about Astrid, a female blacksmith who makes swords for dragonslayers. She lives in a world that's parallel to ours, but I modeled it on the beginning of the Viking era. I've always loved Viking culture, and I've read a lot about it for many years. So part of my research involved going back to my own books about Vikings to check on some facts and then going to the library to find books that would fill in some gaps. My biggest challenge was learning about my main character and her work. I took a course in blacksmithing, which was wonderful. I learned a lot, and it went a long way toward shaping Astrid and the story. Because Astrid makes weapons for dragonslayers, I thought it would be a good idea to learn how to use them so I could have a better understanding of them. I discovered that a museum not too far from where I live offers courses where you can learn historically accurate ways to use medieval weapons. In other words, you can learn how to use swords and train with them in the same way as medieval knights. I took a few courses, joined the museum's sword guild, and became a weapons demonstrator at the museum for a few years. All of that experience had a huge influence on all four books in my Dragonslayer series. In Astrid's world, there are two different types of dragons: (1) overgrown lizards that are extremely dangerous, and (2) dragons that can shapeshift to human form. Astrid has a unique relationship with the shapeshifting dragons. But she knows the other kind is deadly. So one of my final steps was deciding what a dragonslayer's sword would be like, because that the most important weapon that Astrid makes. A common misconception is that swords are heavy. The weapon I trained with most often was the German long sword, which typically is about four feet long and weighs only 2 or 3 pounds. If I lived in the Middle Ages and devoted years to developing my sword skills, I think this type of sword is the largest I'd be able to handle comfortably. And if I were to face a dangerous dragon, I'd want the longest sword I could find to keep as much distance between me and the dragon as possible! I read about sword making until I found a technique that Vikings used called pattern welding, which tended to be a well-kept secret among sword-makers. In a nutshell, you can't predict how strong or weak any given piece of iron is going to be until after you've already made a weapon out of it and you use it in battle. It will either hold up or it might bend or break - and you'll be dead if that happens. If I were facing a dragon, there's no way I'd want my sword to bend or break! Pattern welding is a technique (which I describe in detail in Book 1 in my series) where you take different pieces of iron and essentially twist them together when you make the sword. It's likely some pieces of iron will be weak but others will be strong, and you'll end up with a weapon that's strong but also flexible, which is exactly what you want. So the dragonslayer's sword could be a real weapon. I combined the design of a German long sword with the sword-making technique of pattern welding. In my fantasy world, it's what some characters call a “dragonish sword,” but the details about it come from our world. If you'd like to sample my work for free, you can download a free “mini” ebook called “Dragonslayer Stories” from my website at http://www.resanelson.com/files. No cost, no obligation, nothing to sign up for, no information gathering. I like giving away samples of my work so you can decide for yourself whether you like it or not. 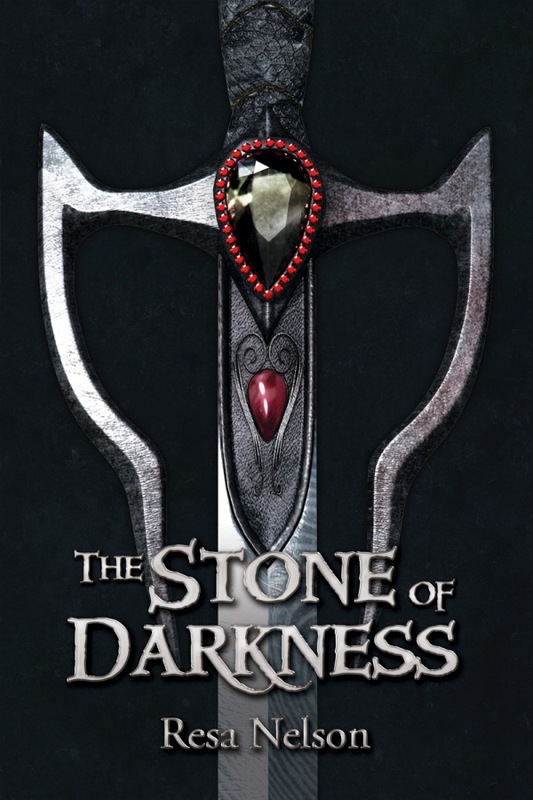 For Astrid, a blacksmith who makes swords for dragonslayers, the emergence of a strange gemstone from her body sets in motion a chain of events that threaten to destroy her life. Her happiness is shattered when her lover--the dragonslayer--disappears without a trace, and the life that she knows and loves implodes without warning. Astrid lives in a world of shapeshifters whose thoughts have the power to change not only themselves but others. Everything Astrid knows to be true is called into question when she learns the truth about her past and the mysterious family from which she was separated as a child. 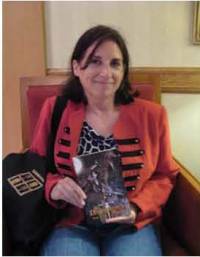 Her first novel, The Dragonslayer's Sword, was nominated for the Nebula Award and was also a Finalist for the EPPIE Award. This medieval fantasy novel is based on a short story first published in the premiere issue of Science Fiction Age magazine and ranked 2nd in that magazine's first Readers Top Ten Poll. The Dragonslayer's Sword is Book 1 in her 4-book Dragonslayer series. Book 2, The Iron Maiden, was published last December, Book 3 was published in May, and the final book in the series is scheduled for publication in November. 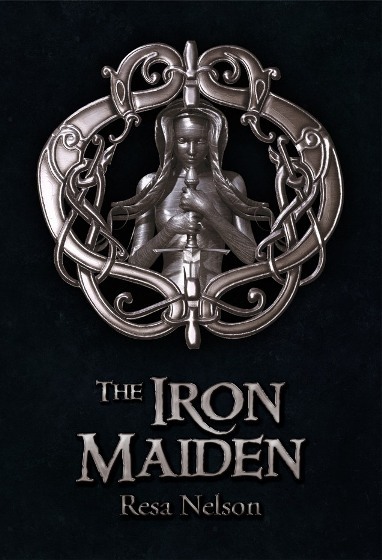 I really love the covers especially The Iron Maiden cover, love the emblem on it. Sounds good!! ANd sounds like Resa did some awesome research too. I love dragon series books, and I'm sure my son will be interested in this! Thanks! I have these books in my TBR. It's so cool that Resa actually took a black smithing class to research Astrid's life. Even in fantasy, a book is much more enjoyable if the story feels plausible and a book feels more authentic when the author takes the time to do background research on what's being written about. These sound like wonderful reads! It sounds like the author was serious about making sure every detail was in order. Thanks so much for all the great comments! I really love doing research, and I love getting feedback from readers! Taking a course in blacksmithing and learning how to use swords were such eye-openers and had a huge impact on my books. And so much fun!